It sets up a showdown with the White House and could prompt Trump's first veto. 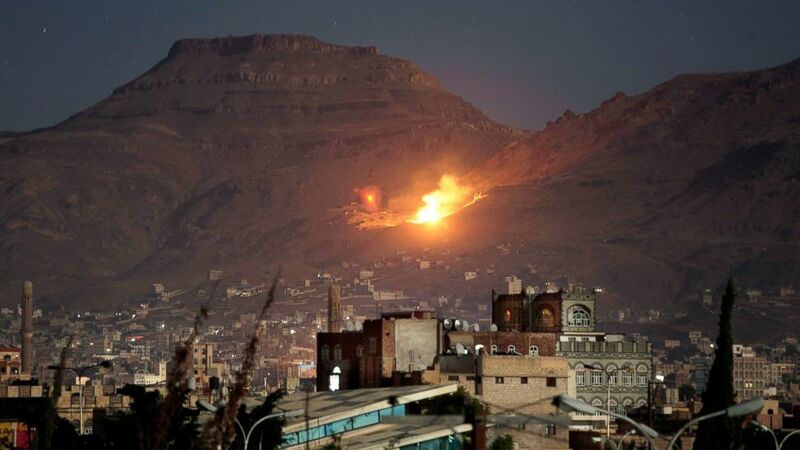 (AP) In this Oct. 14, 2016 file photo, fire and smoke rise after a Saudi-led airstrike hit a site believed to be one of the largest weapons depots on the outskirts of Yemen's capital, Sanaa. 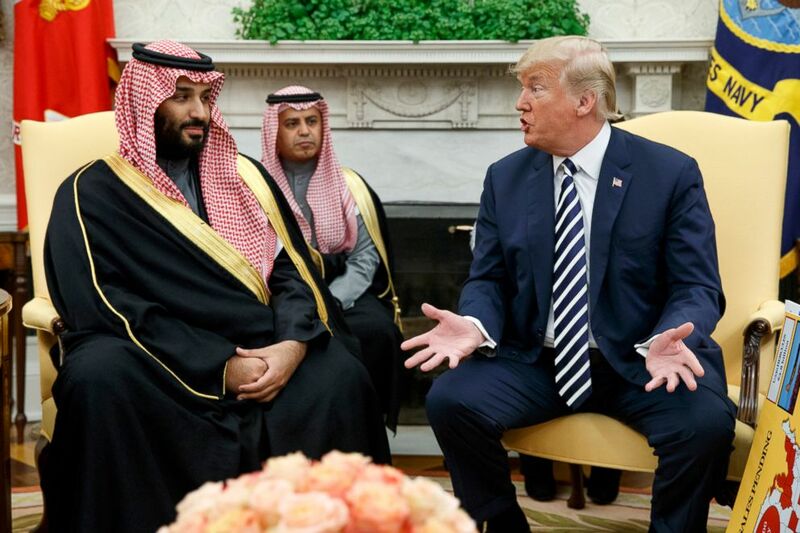 (Evan Vucci/AP, FILE) President Donald Trump meets with Saudi Crown Prince Mohammed bin Salman in the Oval Office of the White House in Washington, March 20, 2018.